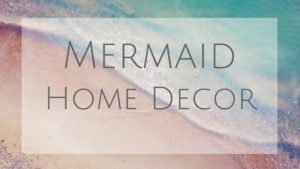 Mermaid Life is a chic line of mermaid clothing and accessories with headquarters in St Augustine, Florida. Back in 2015, Milena (the owner) decided to venture into the fashion world with a few mermaid-themed items and prompted them at trade shows. Setting up a small booth, everyone surrounded her and expressed their love for mermaids, asking if she had any more products. Now, just a few short years later, she has dozens of retailers all around in North and Central America. This is for those cold days that don’t allow you in the water. Snuggle up with this V-neck notch hoodie with a playful logo, and the teal lucky number 22! I got a size large and was worried it might be too big when I took it out of the box! It fits great and feels super cozy. It’s totally something you would want to put on and just relax at night. The fabric is super soft inside and the arms are long enough to put over your whole hand. The wrists are different than most sweatshirts. They have a small elastic sinch rather than a large tapped fabric surrounding the wrists. I actually like it as I can push the sleeves up my arms if needed, and also cover my hands if it gets cold. Suns out buns out! It was about 40 degrees when I did this photoshoot so I didn’t get a picture of the shorts. I will be going to Hawaii in January and will get some good shots there! These are a fun cover up when running on the beach, or hiking in the summer months. These are super comfy and I love the cinch ties on the side. I tried them on (indoors of course) and the are super cute! I love the accent string on the side that allows you to shape the shorts. They rounded my backside nicely and made everything look smooth. Win! Everyone needs mermaid jewelry, am I right? Check out this beautiful Stacked beach necklace with 3 layers of plated rose gold. This boho necklace can be worn at the beach or a night on the town. This necklace is definitely rose gold, rather than a yellow gold which it kind of looks like in the picture. I like that she has a little pink heart jewel she is holding. It fit perfectly with my outfit with my cream blouse and jean jacket. The stacking effect is nice as you only have to deal with one clasp and not 3! It also holds everything in place so you don’t have to worry about adjusting during the day. There is no better way to show off your mermaid spirit, than scales and flash tattoos! These temporary scale tattoos come in 3 different designs: Siren Scales, Coastal, and Original. Not to worry! These can be worn in the water, as well as dry land. The flash tattoos come in a variety of shapes and sizes including mermaid life logo! Putting on these temporary tattoos is ridiculously easy. Just cut out the image that you want, take off the plastic film and press to your skin. Then take a wet cloth and cover the back of the white paper. Press for about 20-30 seconds and the image has transferred to your skin! Keep up the amazing work Mermaid Life! The world loves Mermaids and needs brands that show it! Make sure to check out Mermaid Lifes website or a store near you! 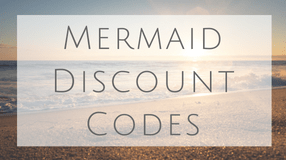 Use the discount code: MERMOLLY10 and receive a 10% discount on your order!